I love the chain & stones, you nailed it! love this piece..i couldn't image how you were going to work it at first..this is just stunning..a wonderful statment necklace. Very pretty Lori! Those colors are so rich. Well done. Also - praying for Max! No need to explain all you are doing for him. It's love. Lori this is beautiful! Has a very Asian/Middleeastern feel. Great Job! 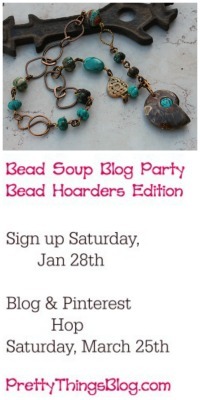 I love the end result of the Cup of Bead Soup challenge. 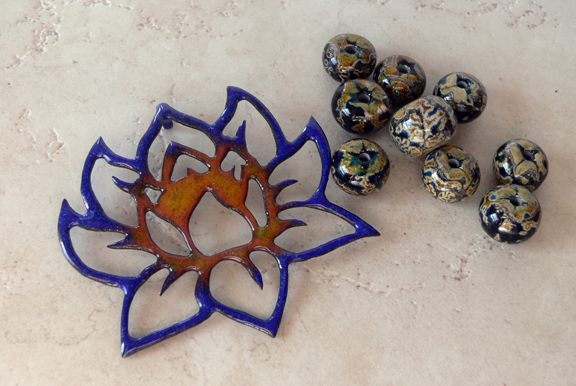 I like the mix you put together... fun and great colors to set the focus of the lotus bead. Prayers for Max! We love our pets too. A statement piece? oh, my yes indeedy. It's gorgeous and I love it. I am speechless! What you created with our lotus pendant and beads is breathtaking. I so excited about your interpretation I nearly wet my pants! You are AWESOME! WOW, that necklace is spectacular! 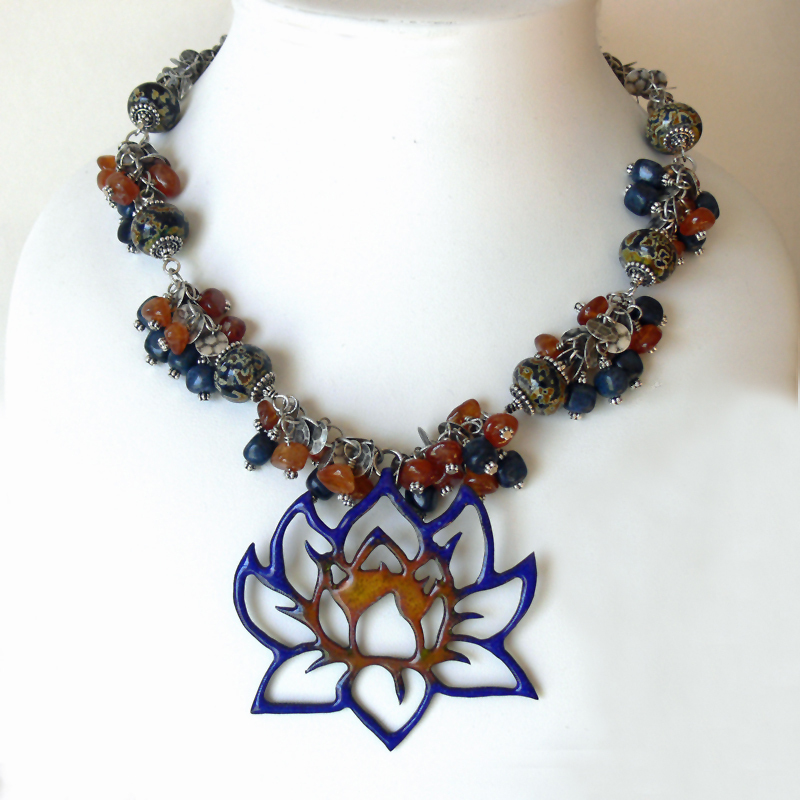 A big flashy beautiful focal like the lotus is a difficult piece to integrate. But wowser, you did it! That's a fantastic piece of work. Kudos! Oh Lori no wonder Beth is so excited! You ROCKED this! I love all the work and care you put into this you really showcased a beautiful pendant and gave a really cool team a huge shout out! So pretty what you made. I think that EB's metal pieces are so unique. I think that would have stumped me completely. I like what you did! And your cup o' soup is always fun to follow. WOW! This is truly a "statement" necklace! It's beautiful and just stunning! FAB-U-LOUS Friend!!! This necklace is absolutely inspired so your waiting was obviously just whats was needed for you to create a masterpiece!! This necklace is stunning!! Beautiful! Amazing! 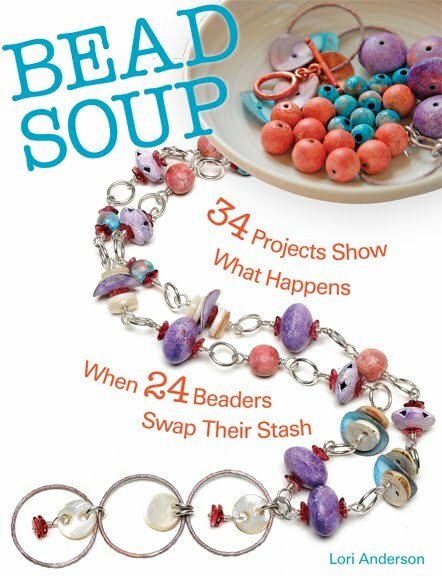 I always find that working with large pendants is a challenge when trying to balance out the size of the "supporting cast" of beads, chain, etc. You did a beautiful job on that and the colors are just delicious, too! I won a bowl from those two talented ladies, and it's awesome (along with your necklace ;))! Holy heck!!!! This is such a gorgeous piece! I adore the colors used together - the fringe and dangles - gorgeous. Man this is awesome! Aww wow, I love it! I want one of those :D perhaps Santa will bring me one. You did such a great job with this pendant Lori! I've been waiting for the end of the month to see what the outcome was. Beautiful! 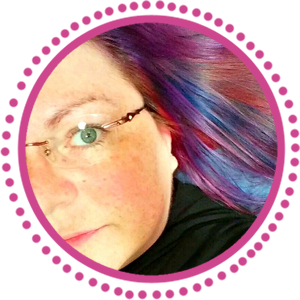 I could not imagine how you were going to use that focal but you did an amazing job! 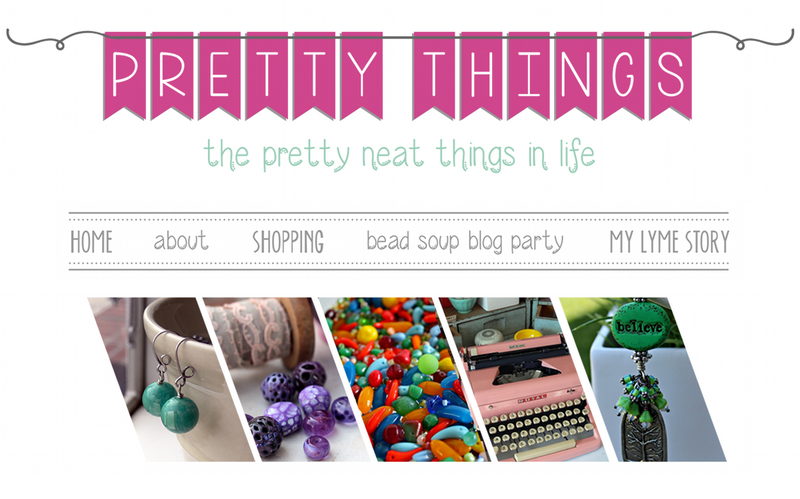 Popping over to your blog always makes me happy and this piece is STUNNING! I loved how it stretched your creativity. It's sensational. Gorgeous! This mother/daughter team is clearly very talented. I'm always amazed at the enameling and the intricate designs. Beautiful combination.